The 10” PDVD1030 DVD Player has arrived to take the pain out of entertaining on those longer rides. Car trips can be long – but they can feel like an eternity when our ‘back-seat drivers’ start getting restless. 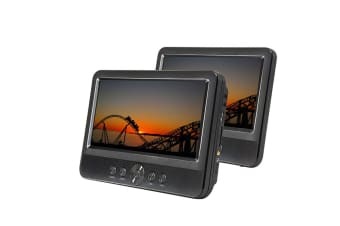 The 10” Twin Screen In-Car Portable DVD Player is compatible with a range of formats, with a huge variety of ways to enjoy your choice of film, music and images. Whether you want to explore your digital library via USB, SD and MMC ports, or enjoy DVDs and CDs across all regions, our premium dual-screens will provide hours of entertainment.